Toastmasters Speeches: Researching & Presenting-Sample Speech IP1, "Intermittent Fasting Made Easy"
Researching & Presenting-Sample Speech IP1, "Intermittent Fasting Made Easy"
This speech was delivered at the BF Community Toastmasters Club (BFComm) in the Feb.17, 2018 Toastmasters Meeting. Ching Bognot evaluated me for this speech. Incidentally, she was delivering a similar speech project, "Research Your Topic", from the Competent Communicator manual. Before this meeting, Ching and I conducted my High Performance Leadership Project by way of a Public Speaking Workshop for the Commission on Youth of the Presentation of the Child Jesus Parish Church. In my most recent speech, I talked about an eating pattern called Intermittent Fasting or IF which has benefited me by lowering my cholesterol levels. It had an added bonus in that I lost 28 pounds over the course of 4 months. Some of you have expressed interest on IF or Intermittent Fasting after hearing that speech. For those who'd like to lose fat or want to get healthier cholesterol and blood sugar levels, I'll let you in a little secret. Intermittent Fasting is not as difficult as you might think. Good afternoon, everyone. The three usual questions I always get are as follows: How do you start? How do you overcome hunger? How do you stay motivated in this fasting program? Well, think about this for a moment. When you sleep you don’t eat. So that means we all fast when we sleep. So the trick is to extend that fasting period. Not necessarily to extend your sleep, but to extend that fasted state – that state of no-eating. So you could either do one of two things: either delay your breakfast or late breakfast, or at the other end, advance your dinner, meaning an earlier dinner. Either way, you’re extending that period by which your stomach is not getting any food. And then, continue delaying breakfast or advancing dinner until such time you don’t need it. 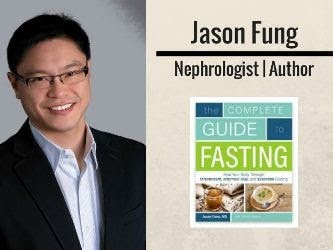 In his book, “The Complete Guide to Fasting”, Dr. Jason Fung, a renowned kidney and diabetes specialist from Canada, he said that by slowly extending the body’s fasted state, with sleep as the anchor, you could gradually skip full meals and thus derive all of fasting’s health benefits. Do I get hungry? The answer is yes. But these hunger pangs, they do go away, don’t they? And Dr. Jason Fung in as Youtube video interview entitled “Therapeutic Fasting” says that 10 or 15 minutes and hunger passes. And it’s not like you get hungrier and hungrier as the day goes on. Hunger just disappears. What to take during your fast? There’s nothing much. Anything that triggers a metabolic response like milk, or fruit juices or shakes are to be avoided. Anything that will tell the stomach that it needs to digest something needs to be avoided. But you could have black coffee, or tea, or water. Certainly, you can cheat. It’s not like you’re reporting your fasting to anyone. It’s just you and your discipline. Just remember that it is not the end of the world. Take a sanguine (word-of-the-day) outlook, for tomorrow is another day, and you will be eating again - soon. Get out that weighing scale. When you see decreases in bodyweight, and you will see decreases, you will be motivated. Also, don’t forget the sense of purpose or the “whys”. Why do you do it, why do you want to do it. Is it to lose weight so you could fit into a nice pair of tight fitting jeans? Is it to be healthier? How about to live longer? 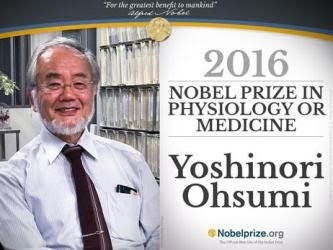 An article in diabetes.co.uk entitled Autophagy, reports the 2016 Nobel Prize winner named Dr. Yoshinori Ohsumi, and his discovery how cells are renewed and regenerated by this autophagy process. And what triggers this process? It is not by a diet or a supplement of any kind, but simply by cyclical or intermittent fasting. At a minimum of 16 hours of fasting, cells start to regenerate. The longer the fast, the more cells are regenerated! So yes! Living a longer and healthier life is a motivation. Improve your health and engage in some sport you’ve always wanted? To become light and fit enough, maybe so you can go rock-climbing? To project a better image of yourself? Again, remember your purpose or the why’s. And so, by knowing what to do to address those 3 questions: How to start, How to overcome hunger and How to stay motivated, you are better equipped to adopt and benefit from this eating pattern called Intermittent Fasting By approaching the eating pattern with an open realistic mind, it is not at all that difficult to do Intermittent Fasting. And that’s the secret. Toastmaster of the Day.